Laboratory for Laser Energetics（英语：Laboratory for Laser Energetics） (LLE). ^ 高國珍 編譯 (编). 核融合實驗 人造太陽有望. 聯合報. 2008-12-29: AA2 [2009-06-16]. （原始内容存档于2014-05-12） （中文（台灣）‎）. ^ Project Status February 2009. 2009-02-26 [2009-03-11]. （原始内容存档于2010-05-28）. ^ Trimble, Tyghe. The Laser to End All Lasers. Discover. 2008-06-25 [2008-07-03]. 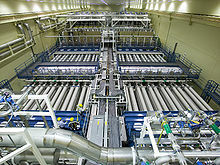 ^ First NIF Shots Fired to Hohlraum Targets. 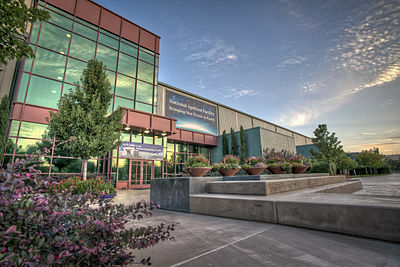 National Ignition Facility. 2009-06 [2009-09-13]. （原始内容存档于2010-05-28）. ^ "'Star Trek' at Fusion Lab: When Fantasy Meets Real Life" by Clara Moskowitz, LiveScience, May 17, 2013. ^ 10.0 10.1 Per F. Peterson, Inertial Fusion Energy: A Tutorial on the Technology and Economics 互联网档案馆的存檔，存档日期2008-12-21., University of California, Berkeley, 1998. Retrieved on 2008-05-07. ^ Per F. Peterson, How IFE Targets Work 互联网档案馆的存檔，存档日期2008-05-06., University of California, Berkeley, 1998. Retrieved on 2008-05-08. ^ Per F. Peterson, Drivers for Inertial Fusion Energy 互联网档案馆的存檔，存档日期2008-05-06., University of California, Berkeley, 1998. Retrieved on 2008-05-08. ^ P.J. 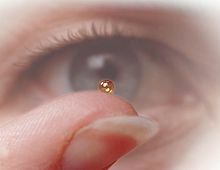 Wegner et al.,NIF final optics system: frequency conversion and beam conditioning, Proceedings of SPIE 5341, 2004-05, pages 180–189. ^ J.D. Lindl et al., The physics basis for ignition using indirect-drive targets on the National Ignition Facility, Physics of Plasmas, Vol. 11, 2004-02, page 339. Retrieved on 2008-05-07. ^ Suter, L.; J. Rothenberg, D. Munro, et al., "Feasibility of High Yield/High Gain NIF Capsules", Lawrence Livermore National Laboratory, 1999-12-06. Retrieved on 2008-05-07. ^ Douglas Wilson et all, The development and advantages of beryllium capsules for the National Ignition Facility, Phys. Plasmas 5, 1953, 1998, DOI:10.1063/1.872865. Retrieved on 2008-05-07. ^ Meeting the Target Challenge, Science & Technology Review, 2007-07~08. Retrieved on 2008-05-07. ^ John Lindl, The Edward Teller Medal Lecture: The Evolution Toward Indirect Drive and Two Decades of Progress Toward ICF Ignition and Burn, 11th International Workshop on Laser Interaction and Related Plasma Phenomena, 1994-12. Retrieved on 2008-05-07. ^ 24.0 24.1 Matthew McKinzie and Christopher Paine, When Peer Review Fails, NDRC. Retrieved on 2008-05-07. 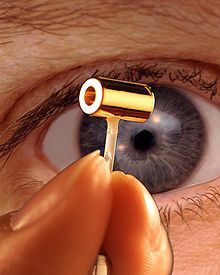 ^ William Broad, Vast Laser Plan Would Further Fusion and Keep Bomb Experts, New York Times, 1994-06-21. Retrieved on 2008-05-07. ^ Nathan Hodge and Sharon Weinberger, A Nuclear Family Rivalry, Slate Magazine, 2005-07-13. Retrieved on 2008-05-07. 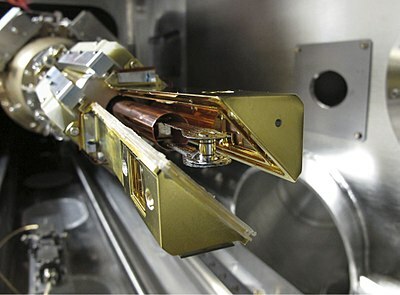 ^ 35.0 35.1 NIF Project Sets Record for Laser Performance 互联网档案馆的存檔，存档日期2010-05-28., Lawrence Livermore National Laboratory, June 5, 2003. Retrieved on May 7, 2008. ^ 世界最大雷射 互联网档案馆的存檔，存档日期2010-05-27., Lawrence Livermore National Laboratory,2007-11-21. Retrieved on 2008-05-07. ^ Photonics With a French Twist[永久失效連結]Photonics Spectra, 2007-10. Retrieved on 2008-05-07. ^ A. Fitzpatrick, I. Oelrich, The Stockpile Stewardship Program: Fifteen Years On 互联网档案馆的存檔，存档日期2007-09-25., Federation of American Scientists, 2007-03. Retrieved on 2008-05-07. ^ Beyond ITER. iter.org. （原始内容存档于2009-05-20）. ^ HiPER. HiPER Project. 2009 [2009-05-29]. ^ IFMIF. ENEA（英语：ENEA (Italy)）. [2009-05-29]. ^ EFDA-JET. EFDA. 2009 [2009-05-29]. ^ HiPER. LMF Project. 2009 [2010-06-02]. ^ Wendelstein 7-X. Max-Planck-Institut für Plasmaphysik. 2009-04-03 [2009-05-29]. （原始内容存档于2009-05-21）. 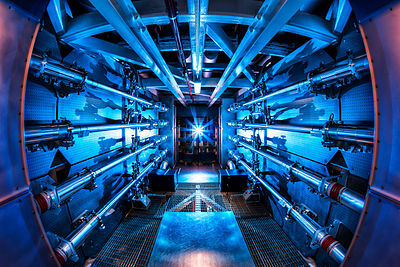 ^ Dry-Run Experiments Verify Key Aspect of Nuclear Fusion Concept: Scientific 'Break-Even' or Better Is Near-Term Goal. [24 September 2012].